Being a leader is hard. Being a Premier or Prime Minister must be all the harder. 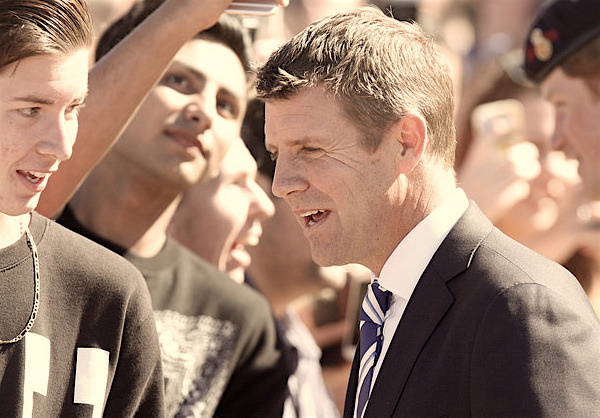 Mike Baird is a man who is a follower of Jesus Christ, and who lives to give glory to our Lord and Saviour. At the same time, as Premier he has been given the privilege of serving every resident of New South Wales, regardless of what they do or don’t believe about God. This week, our Premier turned to Facebook to speak passionately in defence of the Sydney city lock-out laws, particularly noting the apparent reductions in the number of people injured and killed from alcohol through these measures. In his words you can hear that he is speaking as a man who seeks to show love to others by minimising risk and harm. Yet, at the same time, there are some people who are not in favour of these laws, and some who resist the level of government involvement in curbing the freedoms of some people who supply and enjoy alcohol and related activities. It is impossibly difficult for the Premier to please all the people all the time, and therefore he needs great wisdom in order to lead in a way that is both loving and fair. Let’s keep praying for our Premier and for all politicians as they seek to walk the delicate line of leadership in a world that continues to be rocked by the effects of sin and the need of our Saviour. Pray also that Mike and other Christian politicians might make the most of every opportunity to have an answer for the hope in which they have in the Lord Jesus Christ, with gentleness and respect (1 Peter 3:15).